BE Drama Club wins state championship for terrific one-act play! Bonny Eagle students came away with the state championship for its one-act play, Song of Extinction Saturday night, March 18 in Falmouth. The Scots were competing against Lawrence, Skowhegan, Windham, Waterville, Bangor, Oceanside, and Falmouth High Schools. Their performance of the abridged version of Song of Extinction took place Friday night and they sat through the rest of the performances all day Saturday as they waited to hear what the judges' verdict would be. "There were so many tears tonight when they announced that we won the State Competition for the first time in 20-something years," said senior Emily Eberhart in a Facebook post after the festival. "My freshman year we came in last place, and ever since then we've worked so hard and have made it our mission to accomplish what we did tonight. I never thought we would get there, but by god we did. I am so proud of everyone for what we did, and I will assuredly say now that I will never forget this." The cast and crew also won state Class A awards for Ensemble Cast, Set Design, and Projections. In addition, four out of the six cast members received all-cast awards for their performances. They were Dara Khin, Emily Eberhart, Christopher Hascall, and March Stieger. 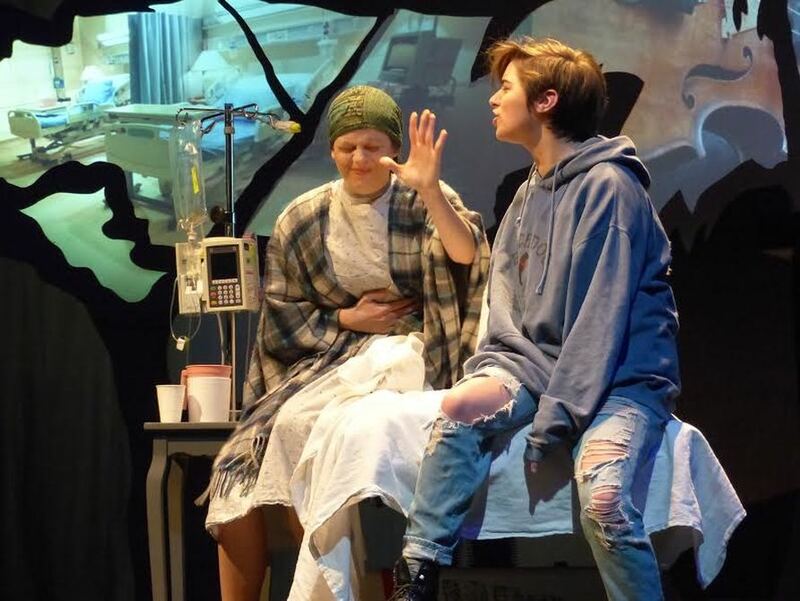 ​ The Drama Club earned the right to compete for the state title on the weekend of March 10 and 11 when they won the Regional title (which they have now won two years in a row). The one-act festival took place in the auditorium due to Bonny Eagle being the host for the One-act festival. The winners were announced March 11. The play included junior Dara Khin as Khim Phan and junior March Steiger as Max Forrestal, who also won awards for their performances. Junior Christopher Hascall as Ellery Forrestal, and seniors Emily Eberhart as Lily Forrestal, Brett Davis as Gill Morris, Sam Graffam as Dr. Dorsey, and Amelia Hanley were also part of the play. Amelia received a judges’ commendation for live music, as the violinist. The entire ensemble cast also received a judges’ commendation. The play was directed by Mr. Rick Osann with the help of technical director, Mr. Tyler Patten, and stage manager, senior Reilly Staples. The sound design, sound board operator, projections, light board operator, and makeup teams were also key parts in making the production possible. Their crew's efforts also helped them receive a judges’ commendation. With an elaborate set full of lanky trees which projected relevant imagery and well-placed settings on either side of the stage, the audience was able to follow Khim Phan in his classroom, Lily Forrestal in her hospital room, and Max Forrestal and Khim Phan in the 24-hour Noodle Shop. Bonny Eagle would be eligible to showcase the play in the New England Festival in Norwood, MA April 22, but many members of the cast and crew will be at Disney World during their spring break with the school's select chorus. Emily Eberhart as Lilly Forrestal and March Steiger as Max Forrestal in a powerful scene mixed with frustration and pain. Staff photo.